Aries Lee, the founder & CEO of HOHOLIFE – a stylish artisanal platform offering innovative and lifestyle products to the active senior citizens. Aries is experienced in elderly care where she is qualified as a registered health worker and has served in local nursing home. Previously, she worked in the banking industry specializing in channel strategy and marketing. While she has been devoting her time in serving the community, Aries is a volunteer team leader at Agency for Volunteer Service (AVS) and a member of SME Customer Liaison Group at the Trade and Industry Department. 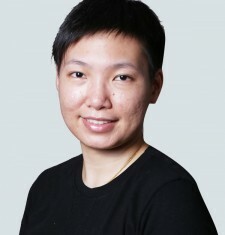 She holds a bachelor degree of Mathematics from the University of Waterloo and got her MBA degree from the HKUST Business School.